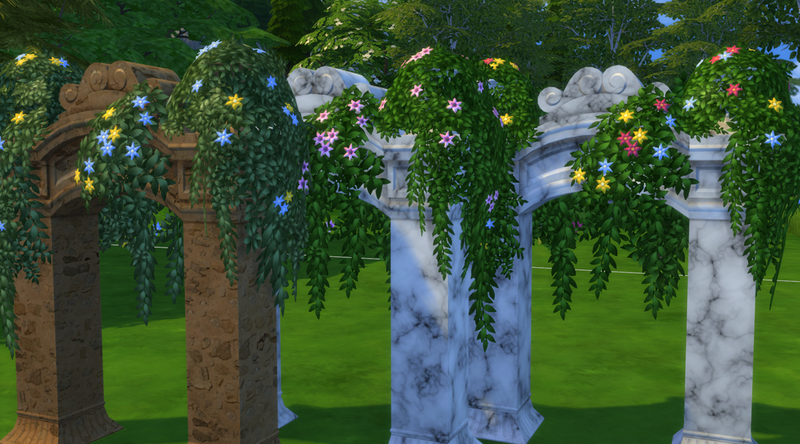 A lovely arch that now is both decorative and a wedding arch, both packages are in the file. 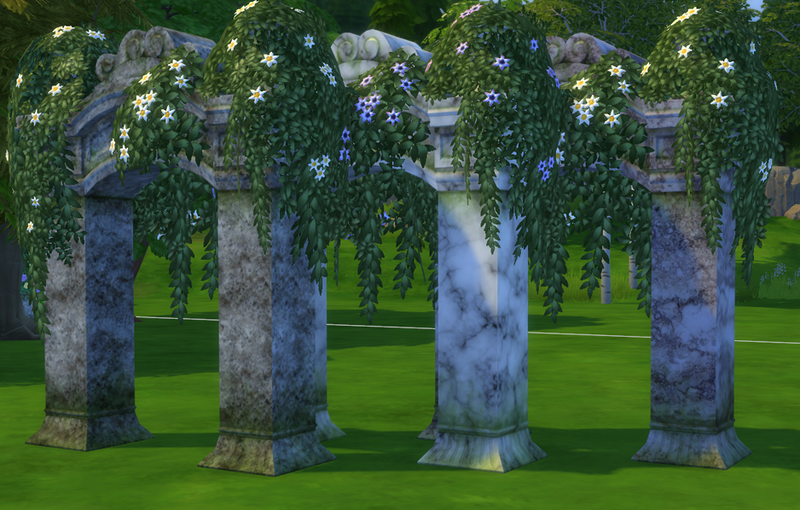 Six re colours to match the above arches, they look really good with both. 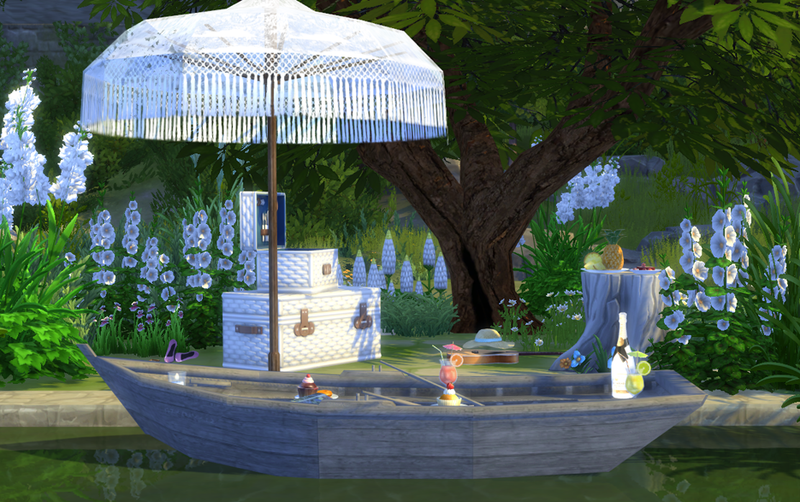 Updated, no longer is put in the toy boxes and has a smaller footprint. 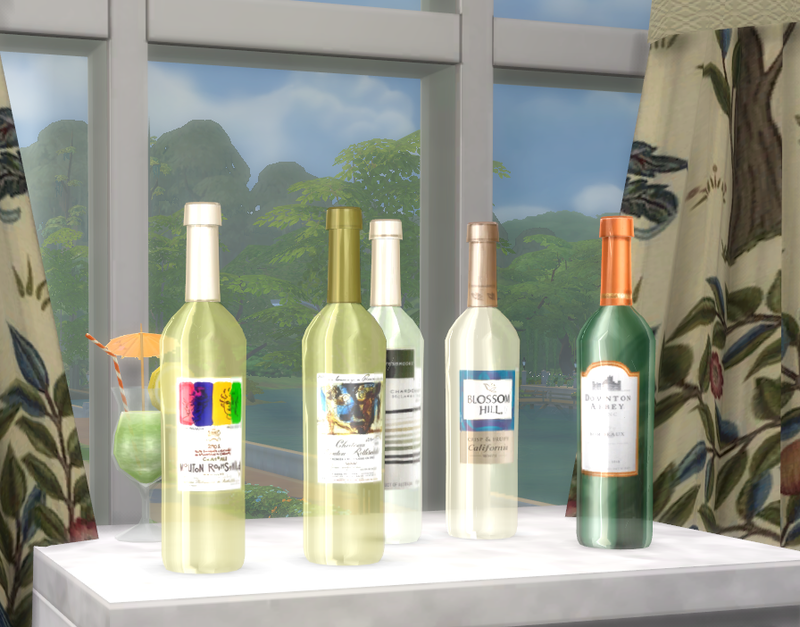 A set of five wine bottles, made possible by D4S who made me a baby glass lama that taught me a lot about glass shaders, thank you D4S. 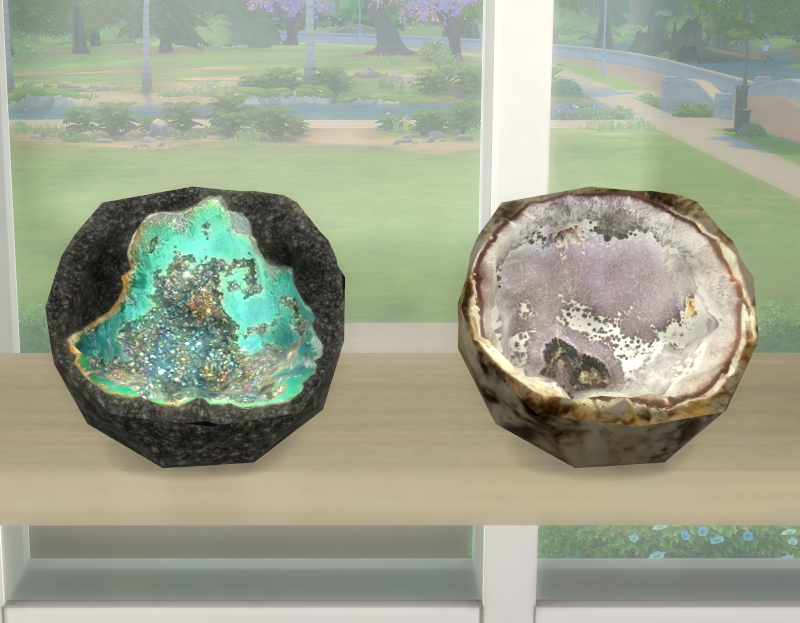 I made these a while back as part of the crystal/lab clutter collection. After testing them on various people here they are. 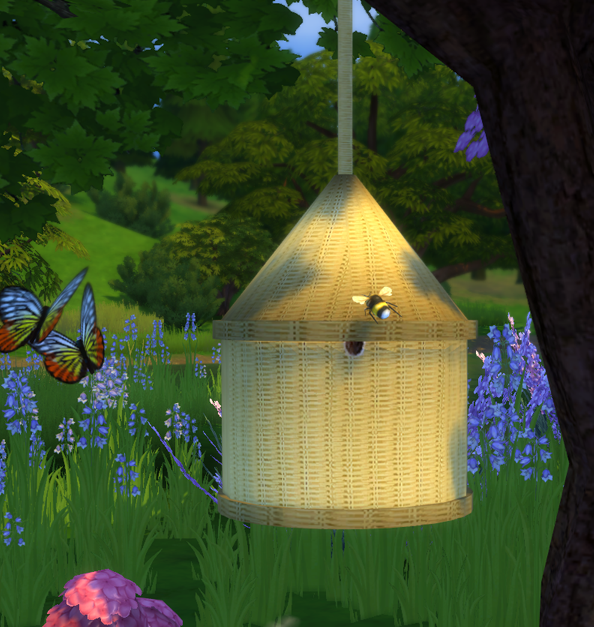 The mesh is spiky in that shell which does seem to add to the effect. They stand pretty much anywhere and are found in clutter. Updated, no longer is put in the toy boxes. 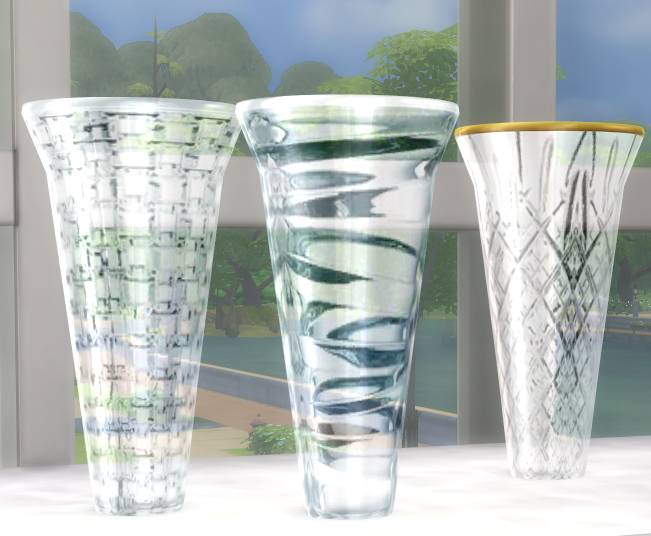 Some pretty glass vases to add to your clutter collection. They started as a request but have evolved somewhat. 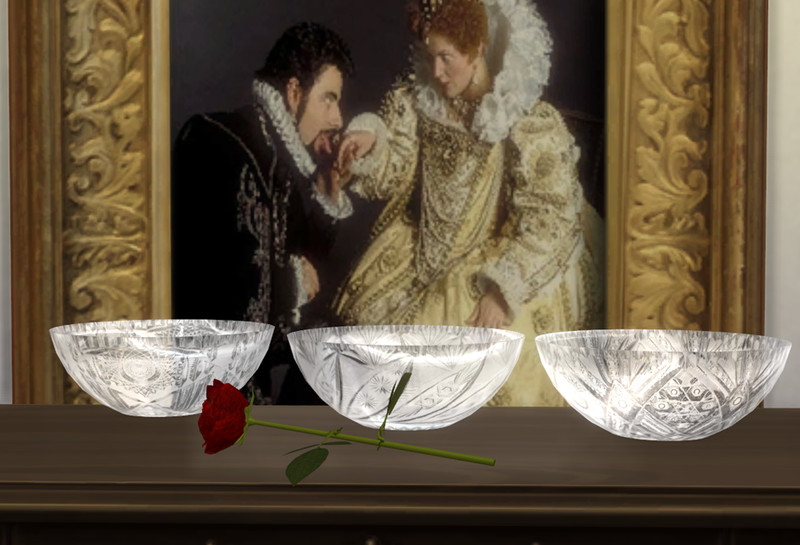 There are 10 altogether, 3 engraved glass, 5 colour wash and 2 patterned with flowers. 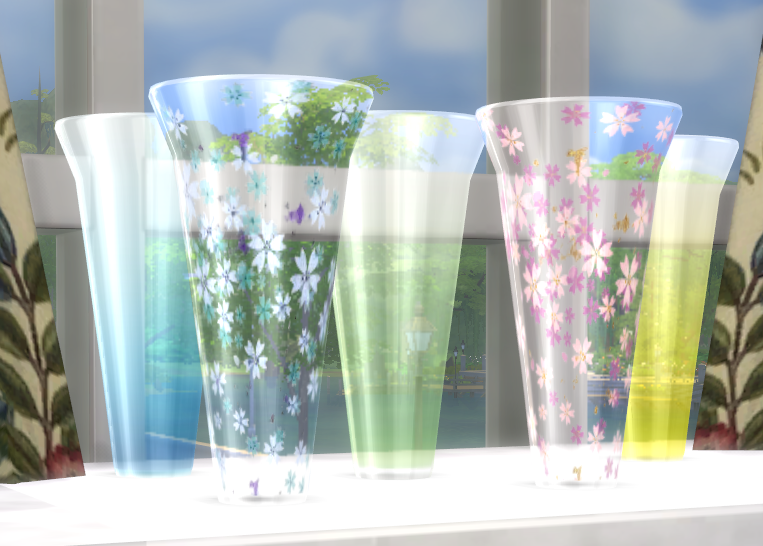 The flower patterns have a brilliant transparency, and all have a high glossy shine, I'm really pleased with the way they turned out. Updated, will no longer be put in the toys boxes. 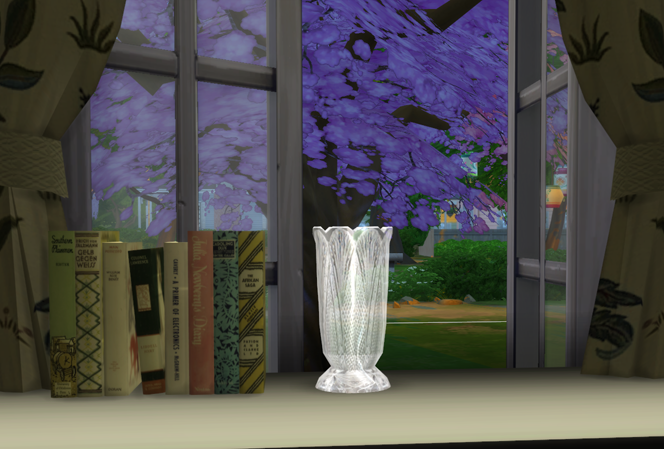 link fixed- I have improved this vase with a new spec and replaced the download link. 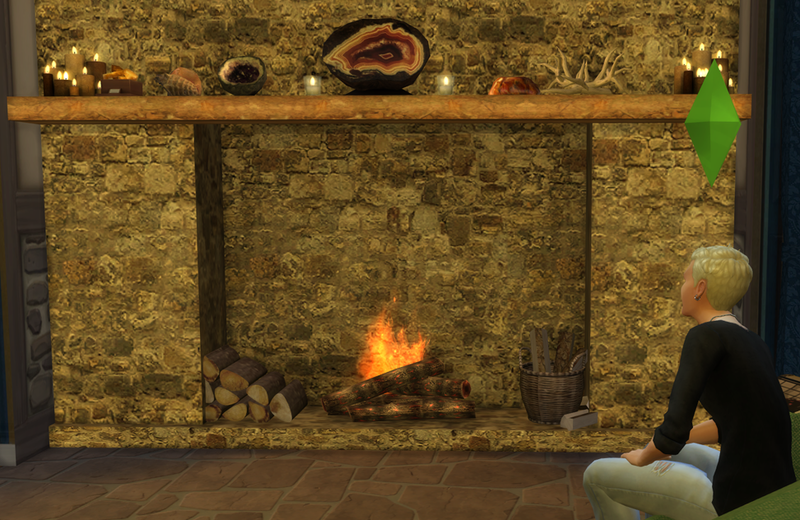 It now looks much better with the new lighting update. replace the old file with this one as they have different names and this will not overwrite the old one. This is a request object. I'd like to dedicate it to roguekurosawa12s' grandmother. For this reason a change to the TOU. 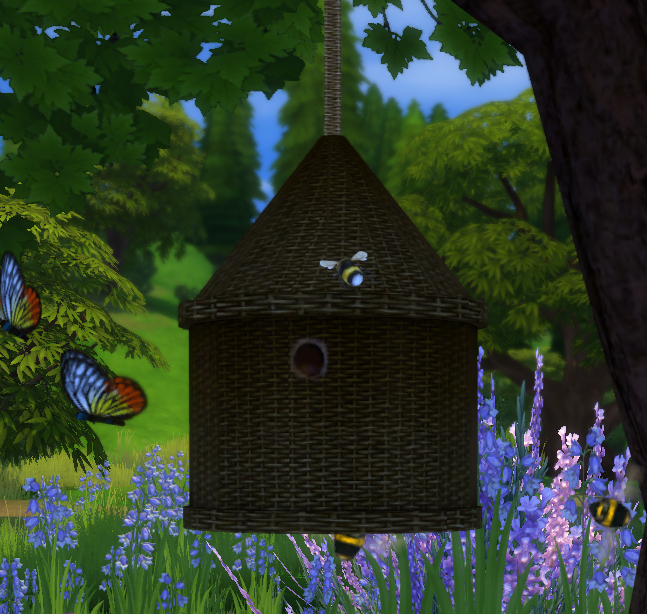 I'd rather the mesh wasn't used and posted anywhere else or recoloured. Thanks. Mirror by Orange Mittens, Lamps by Sererinka. 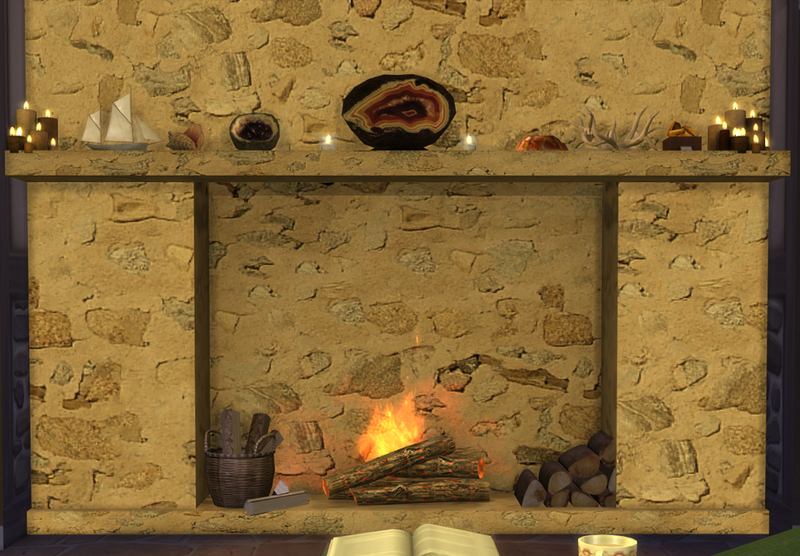 Books by Simscraftman, mesh Mirake. Fireplace and William Morris curtains me. I have updated this link again as it wasn't working for some reason. I downloaded it twice to be sure. I'm very sorry it failed and thank you for the feedback. 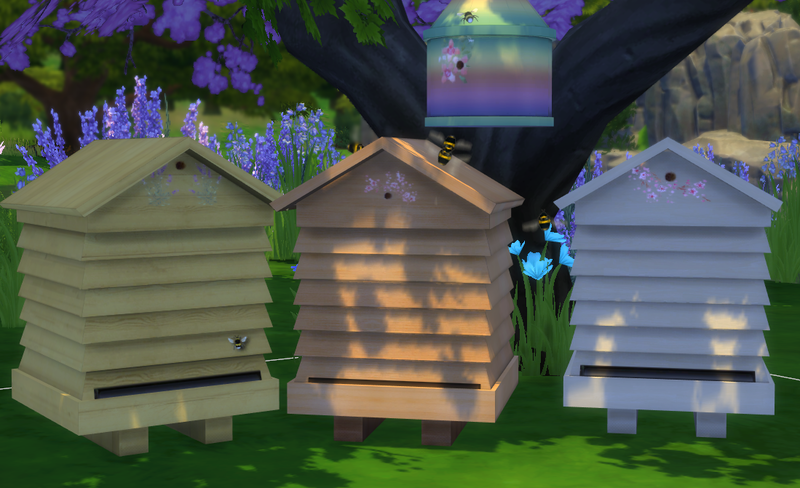 Last weekend I picked up a mod by coolspear (MTS)that allowed me to have the Granite Falls insects on my home lots, great I thought but those bees need hives. So here they are. 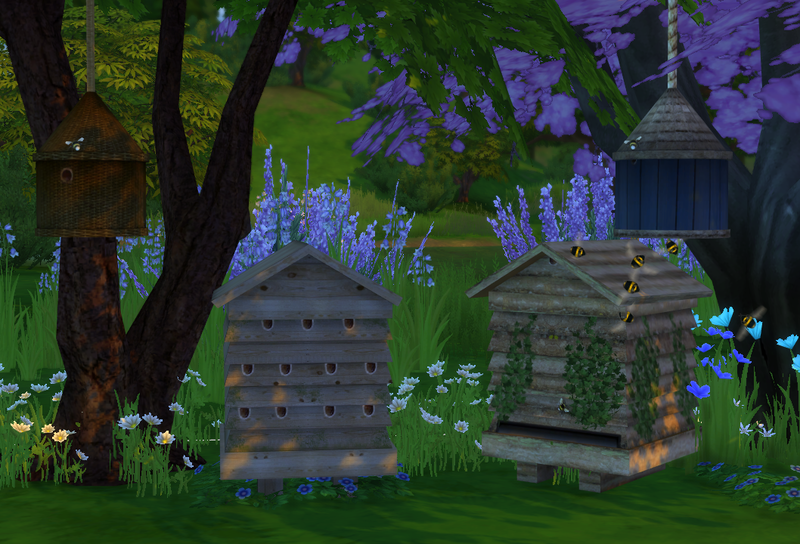 Eight bee hives, two old wood and logs, 4 colour wash wood (with picture bees on) and two elegant hives for town balconies or roof gardens. Found in sculptors, £250. They have a very small footprint as I cloned Baron Dithering for these, pretty sure he came with the base game. Really low poly count verts- 291, polys 144. 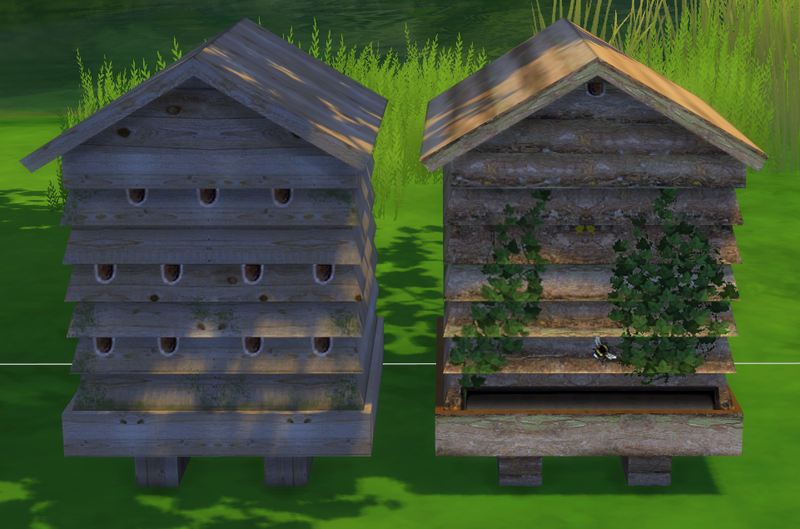 If you have the mod and put the bees close enough it looks as if they go in and out the hives. 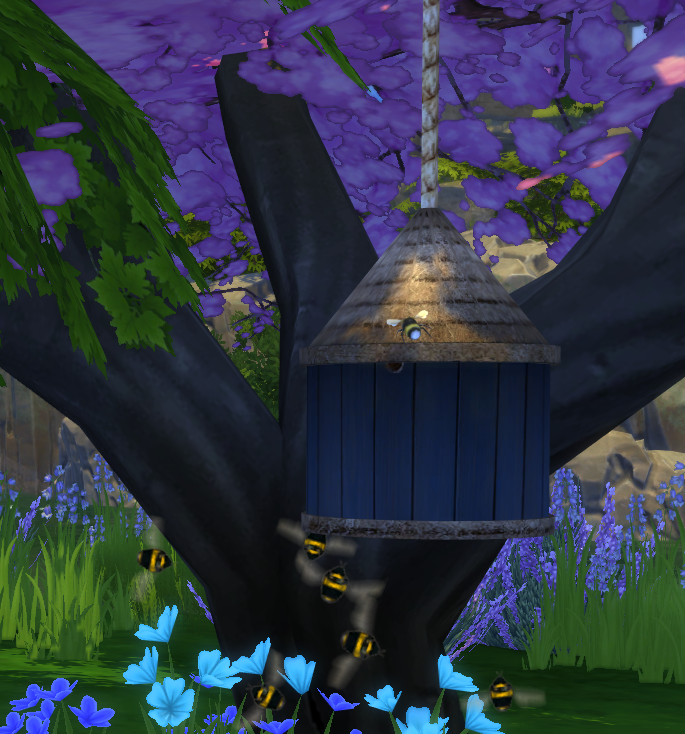 While testing the tree bee hive I was driven nuts by the fact that the trees keep vanishing so I couldn't get the effect I wanted. 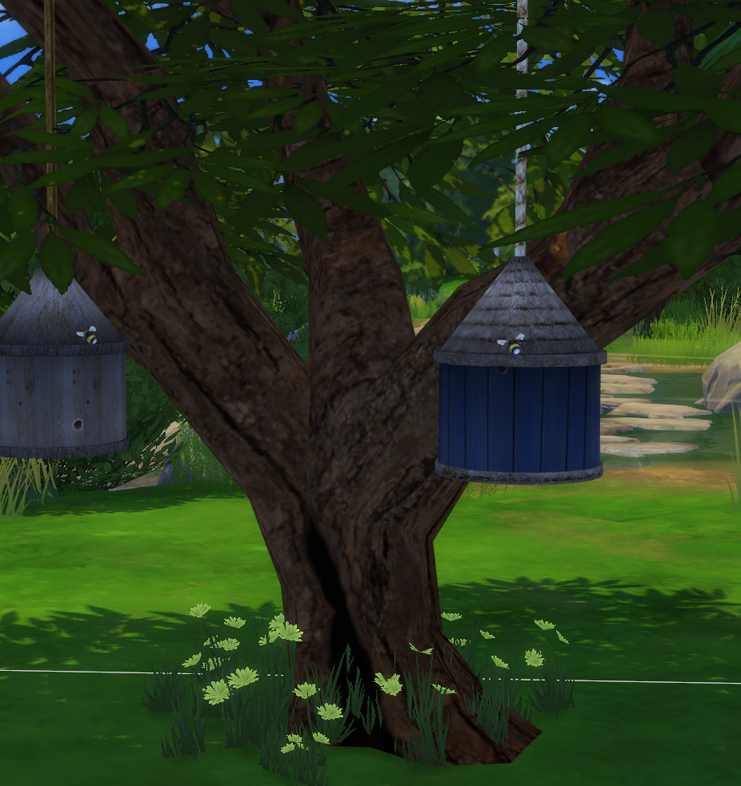 So I made these 5 trees none fade, Dry Pine (Outdoor Retreat), Mesquite, Upright Cherry, Hawthorne and Lilacs & Lanterns (Movie Hangout Stuff). 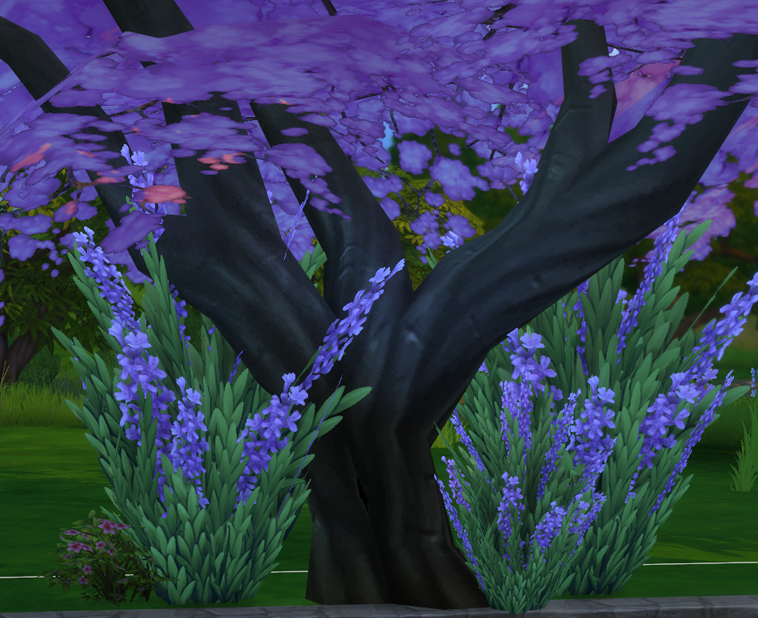 I re coloured the mesquite tree so it has funky bark, and made the cherry’s' bark a silvery colour. The Hawthorne has a dark bark re colour too. 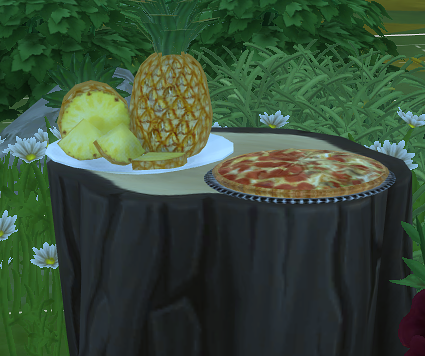 I didn't touch the leaves but in my game catalogue, one panel of leaves looks really odd, but its fine in game. 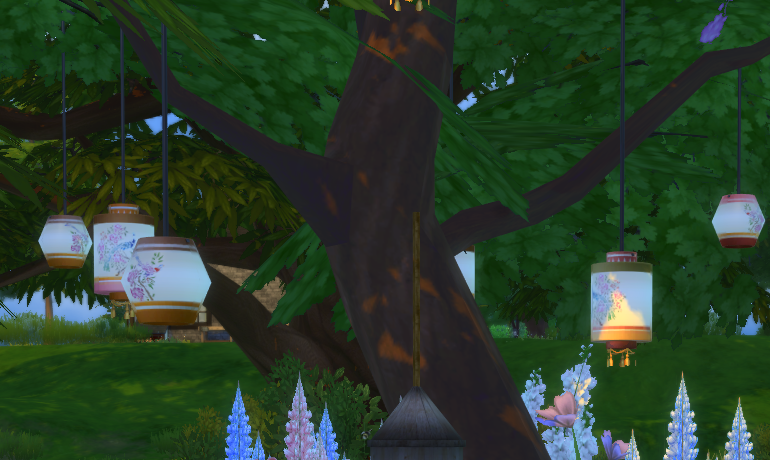 There is only one colour of the L&L tree so I made the lanterns a sort of generic pattern so they would fit with most themes. 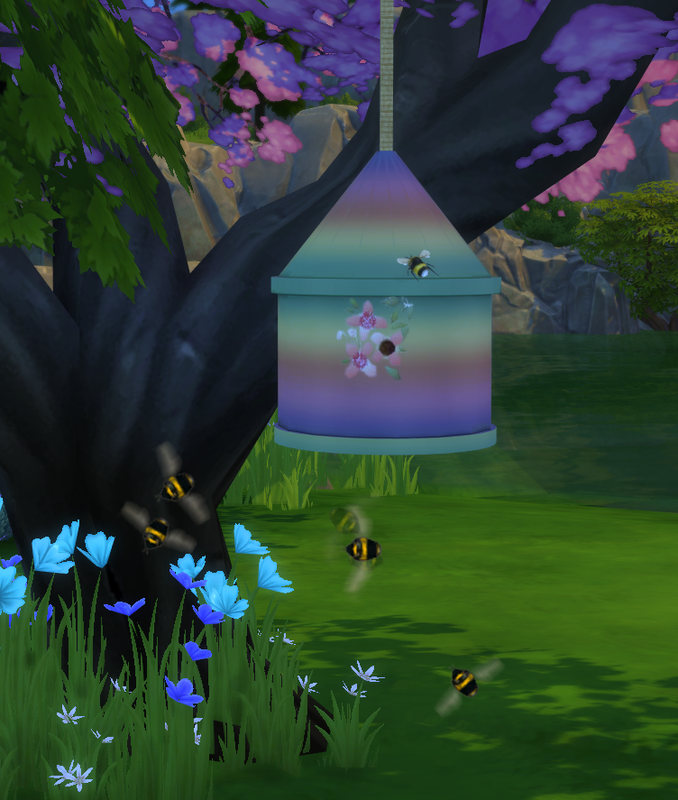 I did try to remove the flirty ambiance from the cherry but its being naughty in my game and continues to wind my Wolfgang up while he is doing yoga/gardening looking at bee hives...I may have made one cheaper but I can't recall which one, sorry. 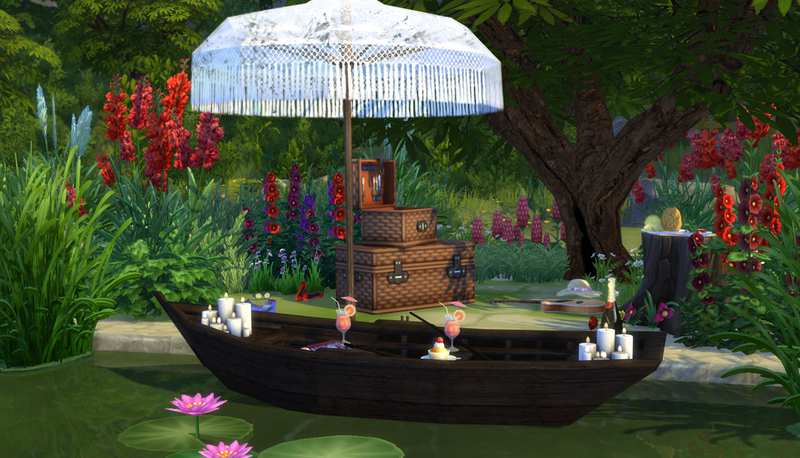 Note, this is not a mod it will just add extra trees that don't fade, the Eaxais trees will still be there. Updated, will no longer be put in the toy boxes. 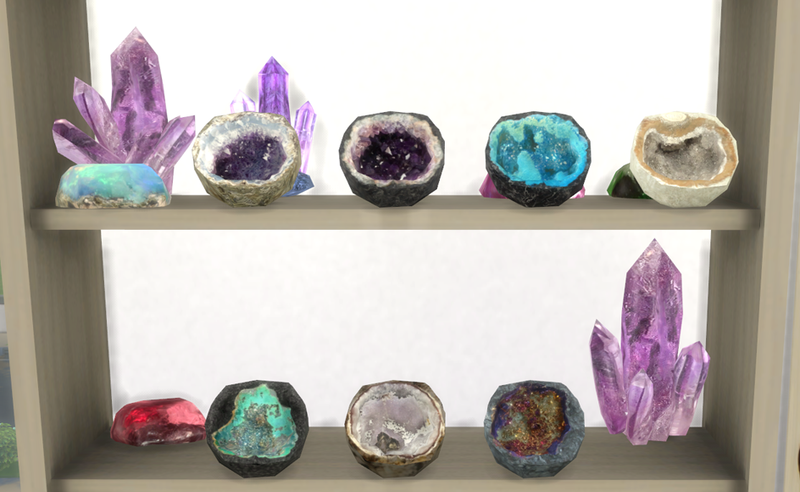 I've been working on crystal bowls, here are ten bowls to suit different environments. 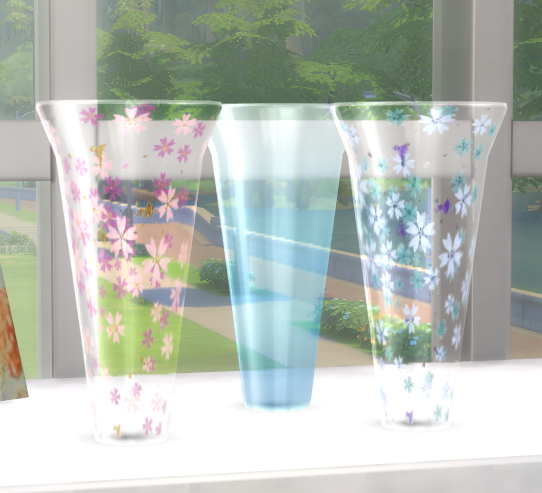 Three cut crystal, two flower and 3 colour wash to match the above vases and two flower patterns. They have a little footprint so things will sit close but they will also clip through each other if moved too close together. 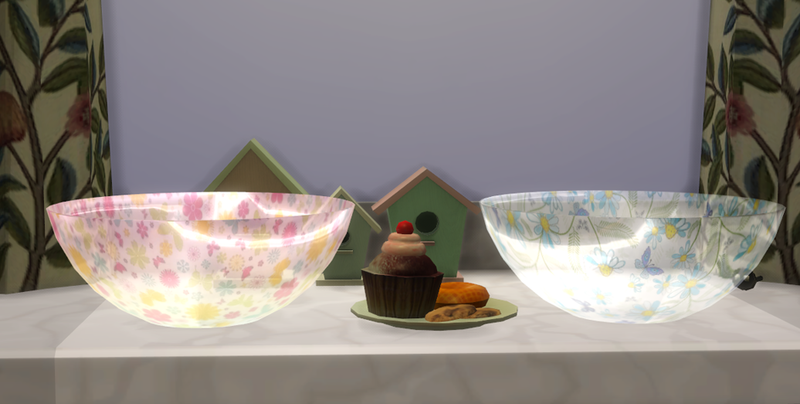 Objects in picture; Coffee cup and cupcake 8.3. 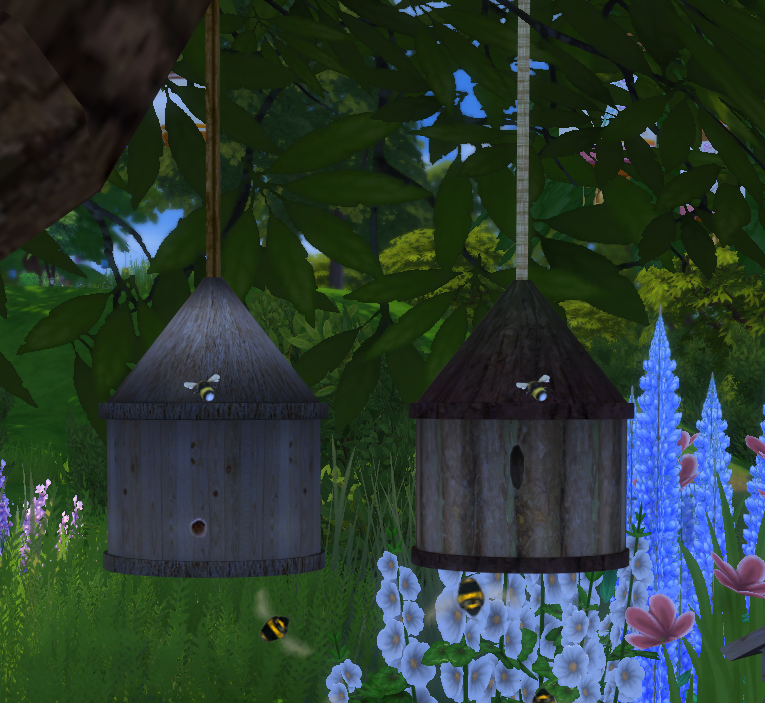 Colour painting by MidnightSkySims here, Large Blackadder painting and curtains Me, rose and little bird boxes are conversions by Mio. Sunni: "My general, overall policy is to do whatever you like with my creations except upload them to a pay website or charge money for them. I create items for the game for fun and share them freely. I expect any derivative creation to also be shared freely with the same policy. It would be nice to receive credit for my efforts or even a message letting me know you have improved/changed/used/made something new, but neither is required." I love her creations and am grateful she allows us to share them. The textures are a mix of hers and mine. 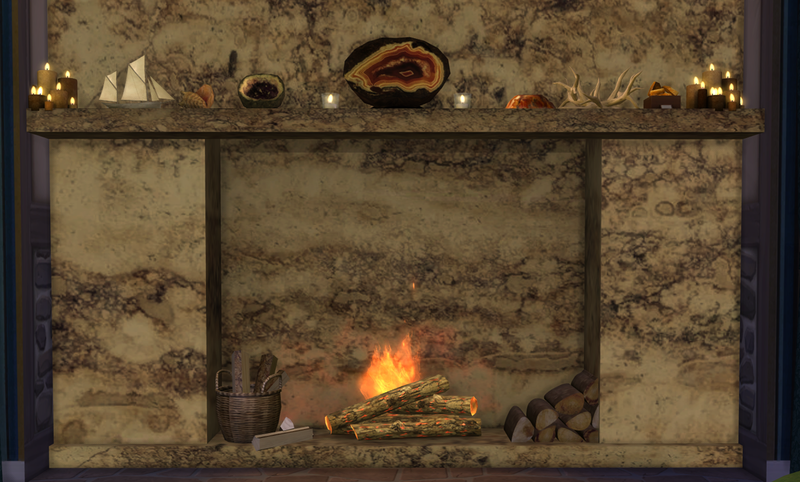 The hearth has 12 slots, 10 on the shelf and 2 beside the fire. Its big, the height is exactly the same as a small room, and its 5 tiles wide. 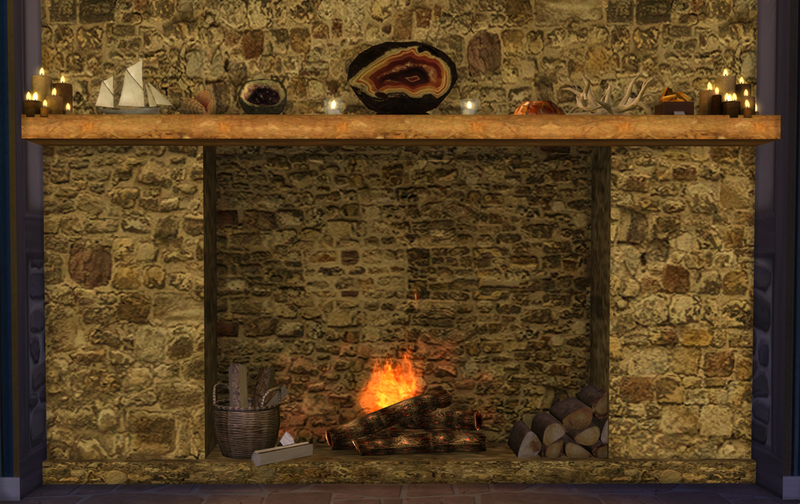 Its shown fitted into a niche, its was cloned from the expensive 3 tiled fireplace, (base game). 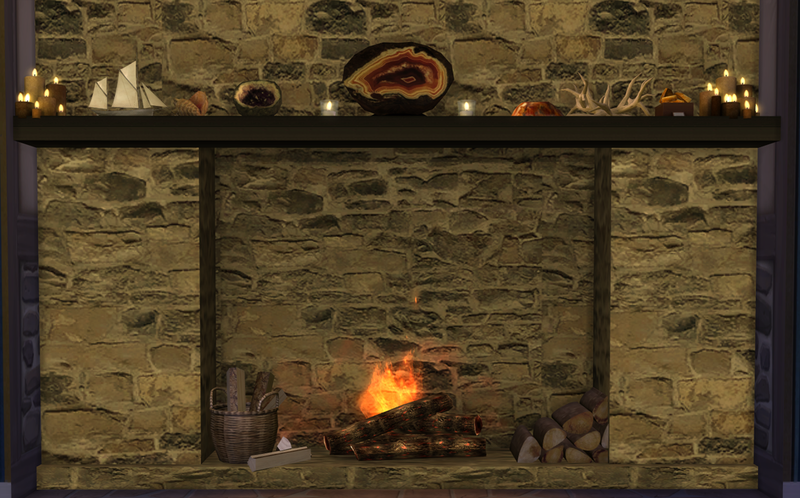 The picture were taken in game at night with the lighting mostly firelight and candles. Five styles to suit most medieval domains and even a sandy brick for the coastal houses. I hope they come in useful. 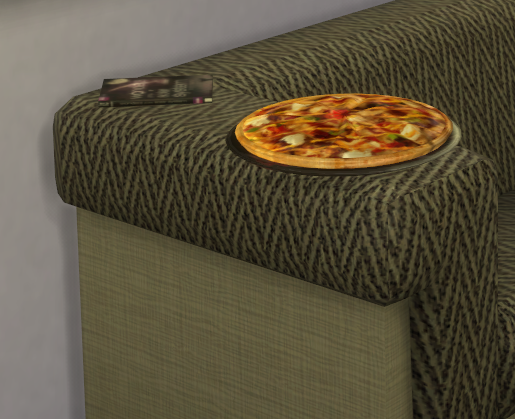 A note about the slots of the sofa. 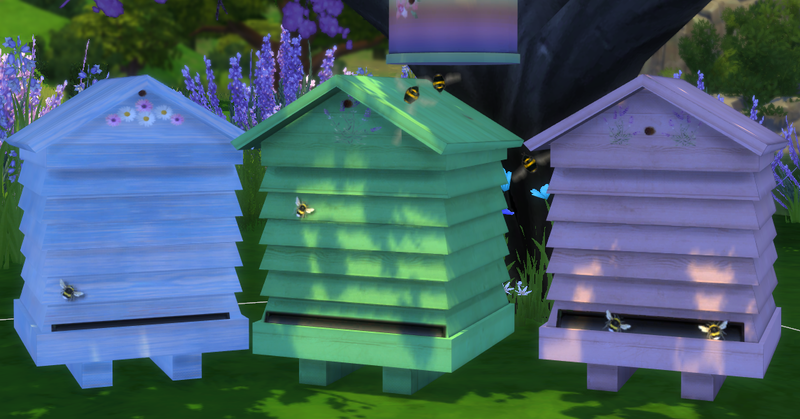 The ones at the back and side are facing towards the front meaning that a Sim can place things on them (as can you) but they can't be picked up by Sims. 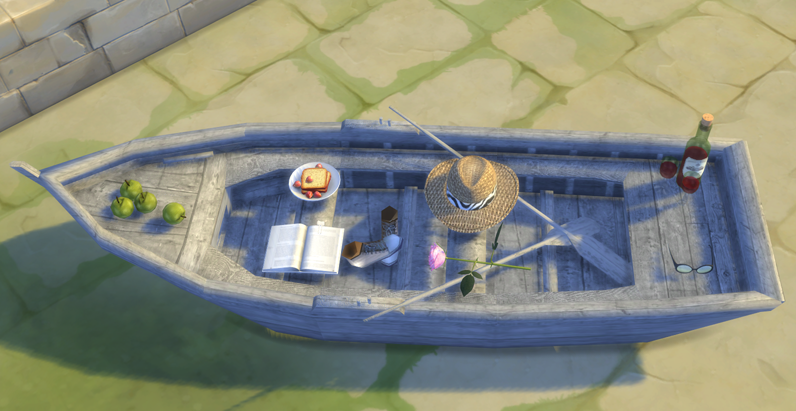 If they place interactive objects likes books or glasses on the back or side they can't retrieve them. When I added these slots I wasn't aware of this issue, so I would like say I'm sorry for the oversight. To date I can't figure a way to fix it, as soon as there is one I will be on it. 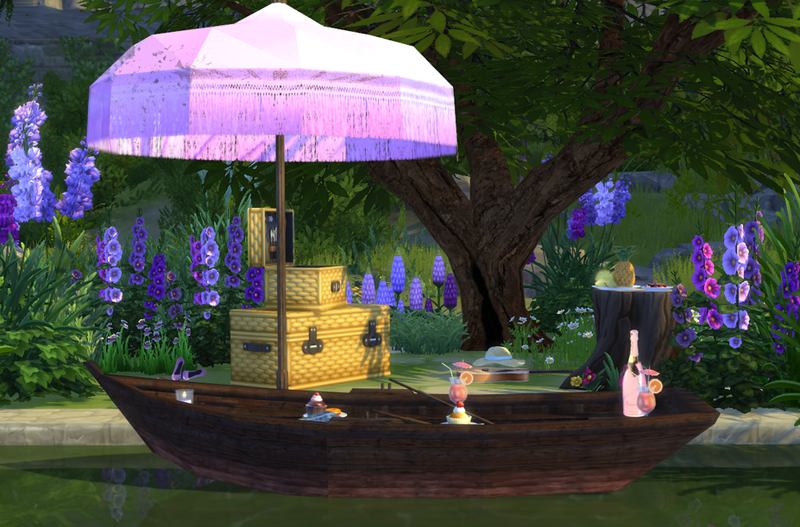 As spring approaches thoughts turn to lazy Sundays by the water and picnics. So here’s an old row boat to sit beside while lazing in the sun. 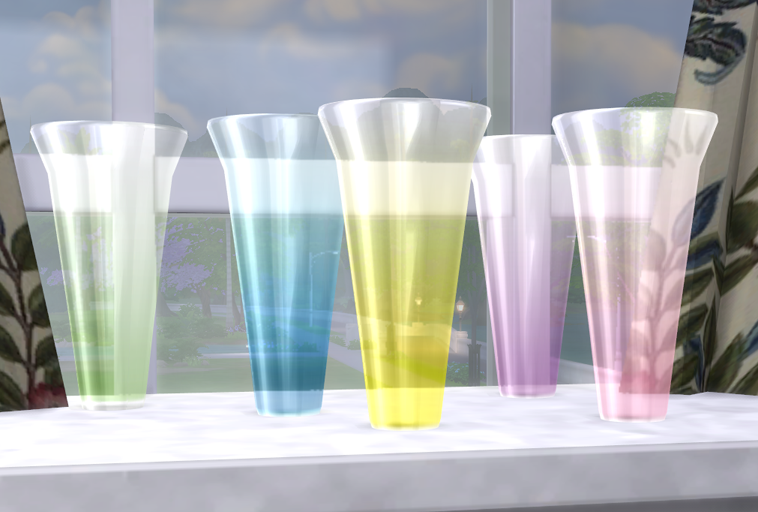 Six colours and eight slots, the slot in the bottom of the boat will only work while the boat isn't on the water, I think it's because it knows there's no floor under it. 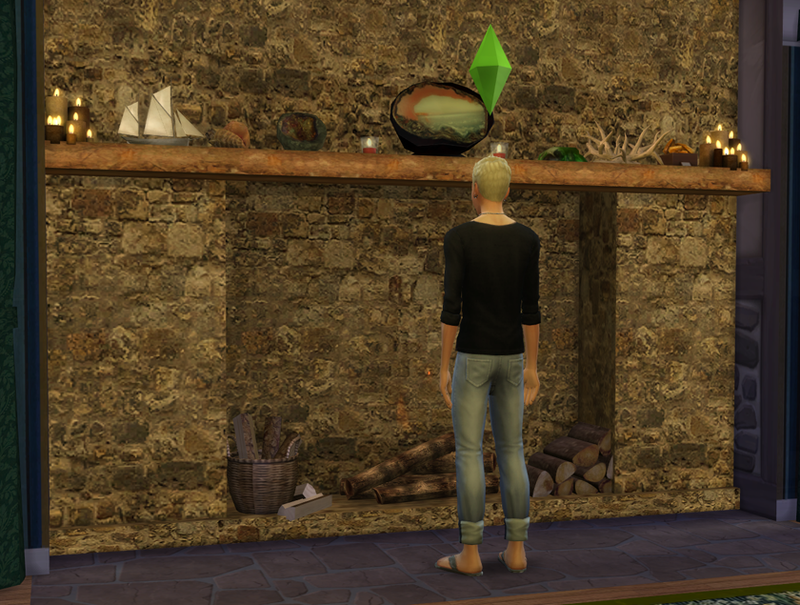 I only wish our Sims could own beach front property so it could be beach deco. But it will sit in pools and fountain water. 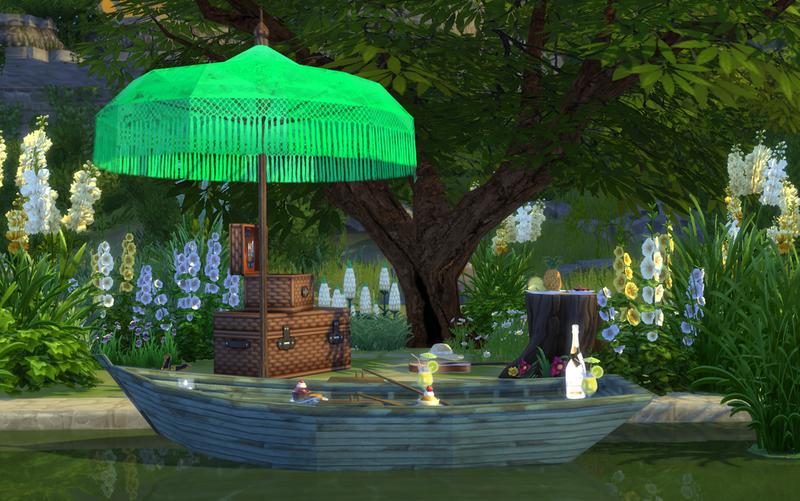 Shoes, Champagne and books me; Drink, pineapple, hat Serinka; Cup cake 8.3 conversion by Mio; Sunbrella, 2.3, LeoSims; Glass candles Omorfi-Mera (here); candle group AOM (here); sunglasses Summer Illusions by Simcrediable designs;. 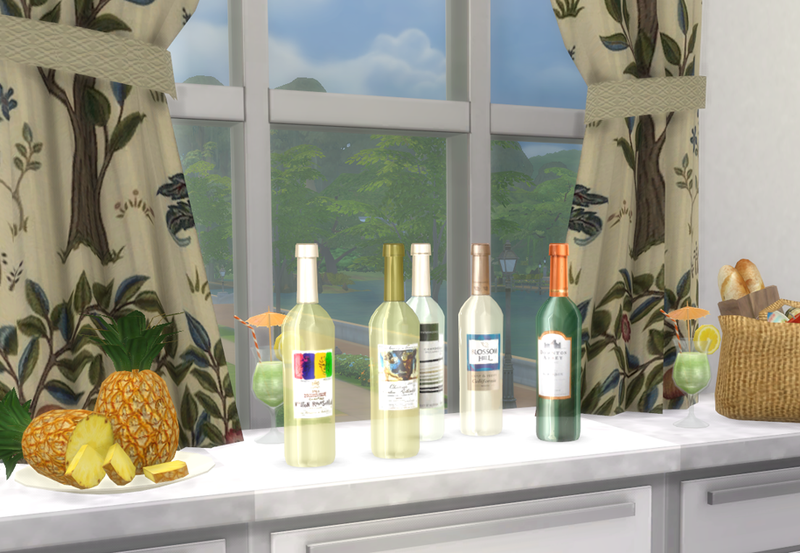 Green Apples by thenumberswoman, Rose, cassandre convert by Mio. 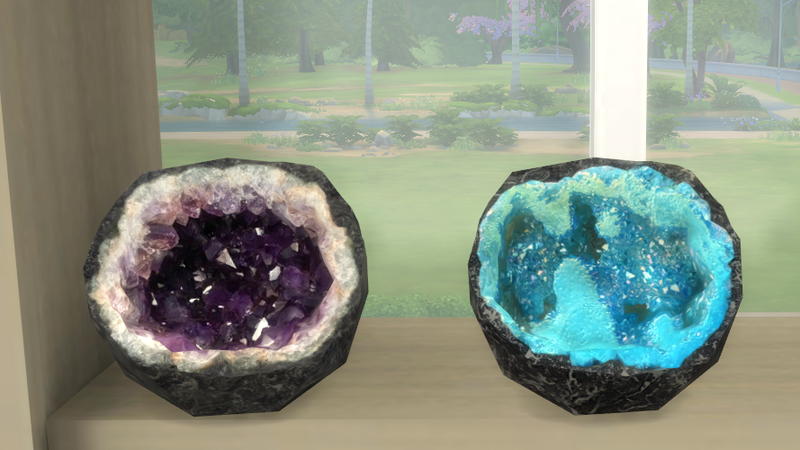 I made these so I had some more clutter for the man's sofa. 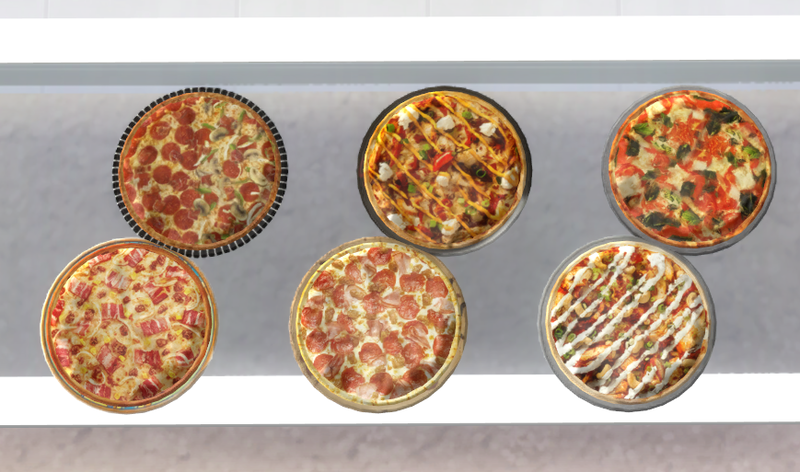 Six toppings and will sit almost everywhere, small foot print base game compatible. I hope they come in useful. 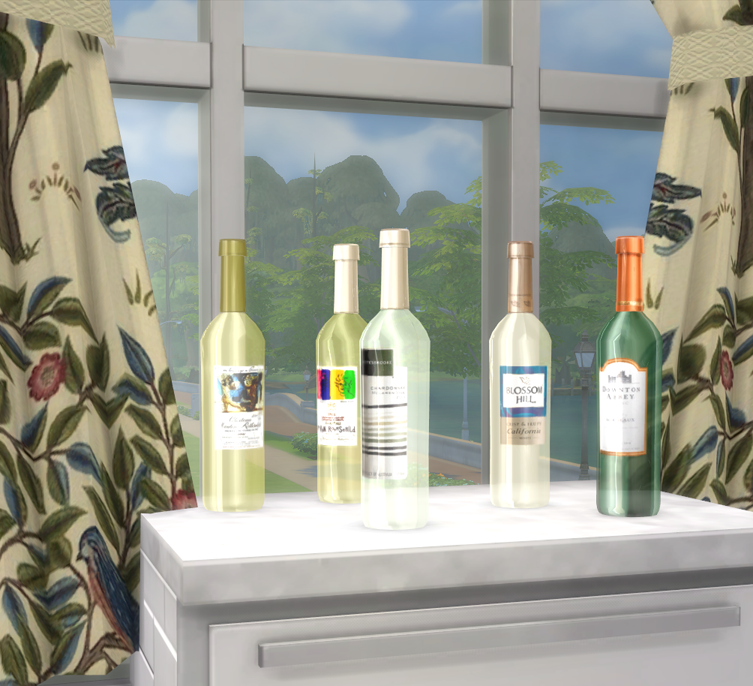 These are a re colour of the in game curtains Grand Window Hangings. 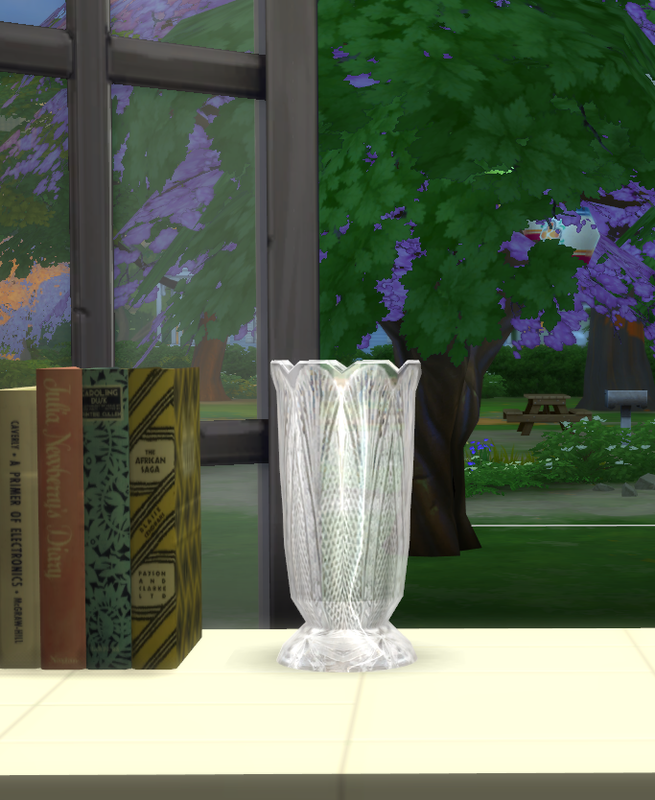 I wanted something to match the cottage interiors of the new neighbourhood. 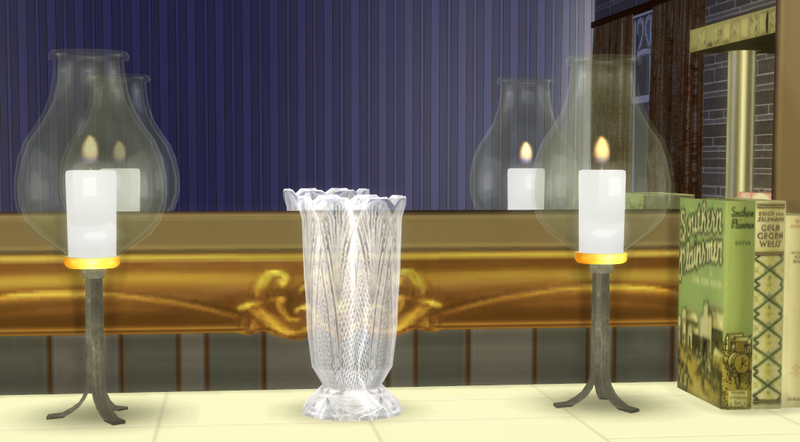 I have fiddled with the mesh so that patterns can be used without distortion.